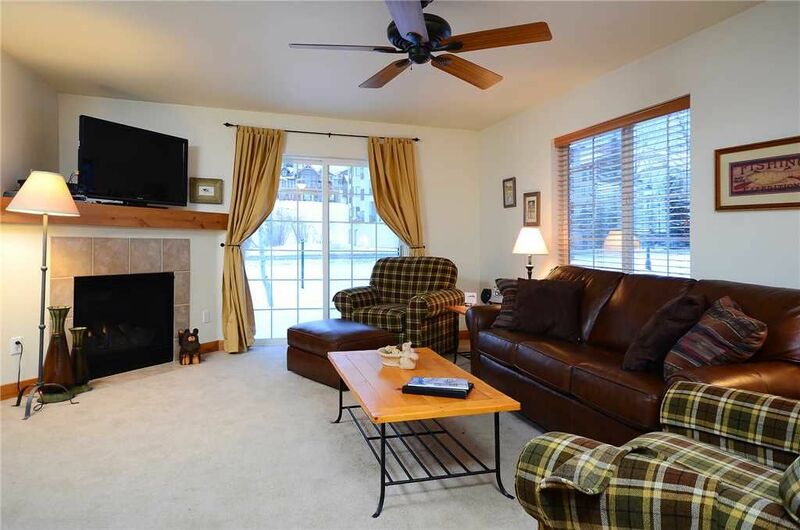 This garden level condominium at the Villas offers everything you need for a family get-a-way to Steamboat Springs. The comfortable living room features a leather queen sized sleeper sofa and two sitting chairs, a large flat screen TV, gas fireplace, and ceiling fan to circulate cool air in the summer and warm air in the winter. The kitchen has all the appliances and utensils needed to prepare meals. There is a king sized bed in the master bedroom as well as a flat screen TV, and the second bedroom features twin over twin bunk beds in addition to a queen bed. Additional amenities include a private garage and washer/dryer. The Villas at Walton Creek are on Steamboat’s free bus route, or hike or bike along gorgeous Burgess Creek up to the Mountain Village and Wild Plum Market. There are two community hot tubs on site for soaking after a great day of adventure. We couldn’t be happier about choosing this condo. We're glad you enjoyed your stay in our vacation rental. Thanks for staying with us. Our family loves this place. Can’t wait to go back. We look forward to seeing you next time ! We really liked this condo. We recommend renting with Pioneer Ridge. This 2 bedroom, 2 bath condo really exceed our expectations. The features that stood out the most to us included the heated garage, comfy and spacious interior, short walk to the bus stop and of course the updated master bathroom with heated floors! Even though our stay was short, we didn't want to leave. Another big impression that was left on us was how clean and orderly the condo was. The next time we are in Steamboat, this property will be our number one choice. Thank you again for such a great place to stay. Thank you for sharing your positive experience. We pride ourselves on ensuring our guest has the best experience possible. Looking forward to future stays. Very nice condo. Great kitchen that was well stocked to cook! Thank you! Nice comfortable furniture. Garage was a plus. Thank you for staying with us, we are happy you enjoyed your stay!